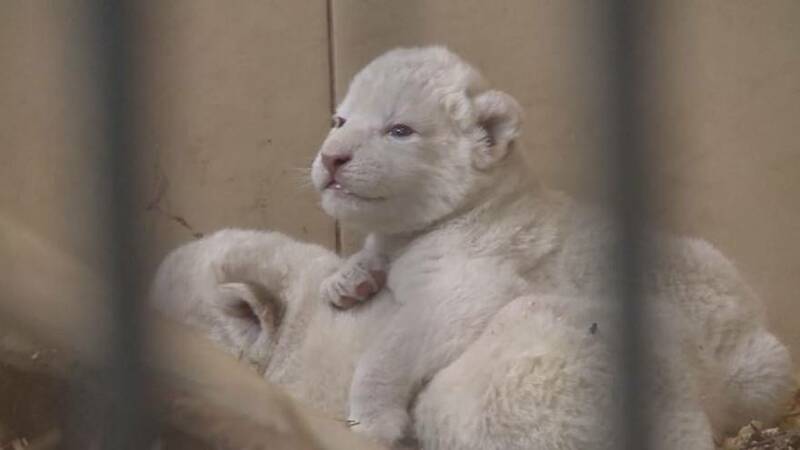 Four rare white lions were born in a private Polish zoo on Sunday. They are set to become a major attraction as there are believed to be fewer than 100 white lions left in the world. The cubs weigh around one kilogram each, but their gender is not yet known as their mother, who is called Azira, has not allowed anyone to approach them.